Update 2014: This brushes are too old to work with recent version of Mypaint. I received request on my comments and email about the Mypaint brushes I did or tweaked for making my little graphic novel 'l'héritage en couleur' . Here is a speed packed version with better icons. The workflow is explained on the making of here , artwork can be seen here : L'heritage en couleur . 5. A small watercolor-like brush to detail. 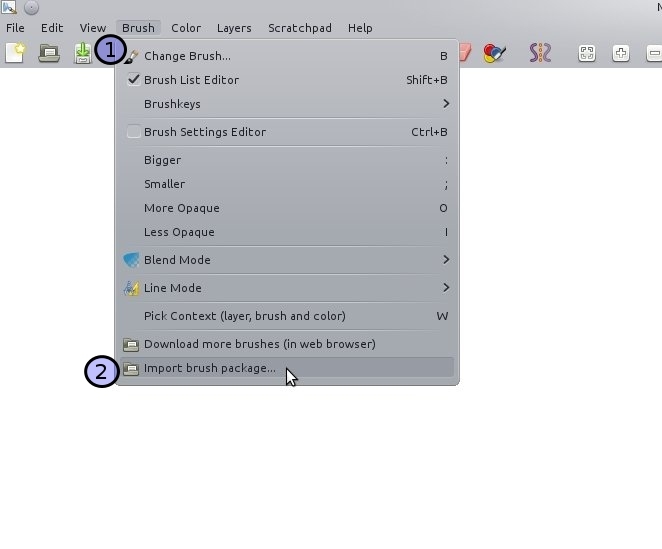 Simply download the zip file , and open it in Mypaint with the menu Brush > Import brush package. You'll have a new group of brush named : hc_brush. You can then remove the zip file. 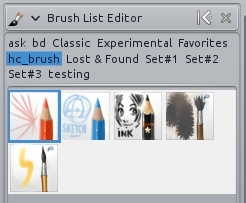 I hope the brush will be compatible with Mypaint 1.0 user ; as I made them in a more recent development version on Linux. Public domain , do whatever you want with, just don't forget to have fun. mentioned at the end of the article, 15 may 2012 . 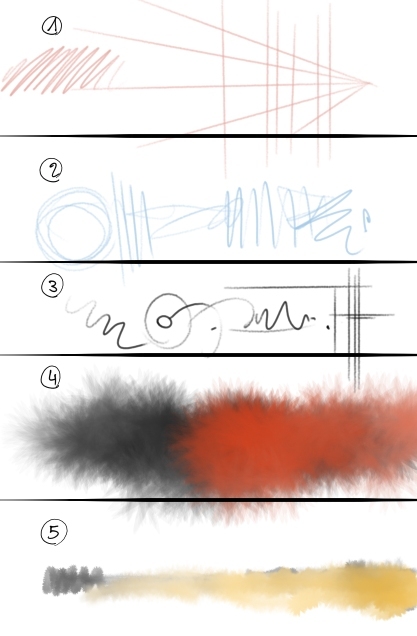 Very nice, like the sketch pencils in TVPaint (red, blue & black, with auto color change). Very useful! Une fois de plus, merci David ! Cool ! I don't even have to ask, each note raise questions, that are answered by the next note ! So yes, I was wondering where I could try those new brushes. Thanks ! I am playing around with mypaint (on Kubuntu) since last week and I "discovered" Your Tutorials. And now there are Your brushes. It is amazing. Thank You very much! Thanks and merci for the warm welcome of this very tiny and not really spectacular brush kit. @Anna Lina De Sario : Good luck to finish your storyboard. Don't hesitate to post a mail if you want a feedback on it.